Get festive with our unique custom Holiday USB flash drives! 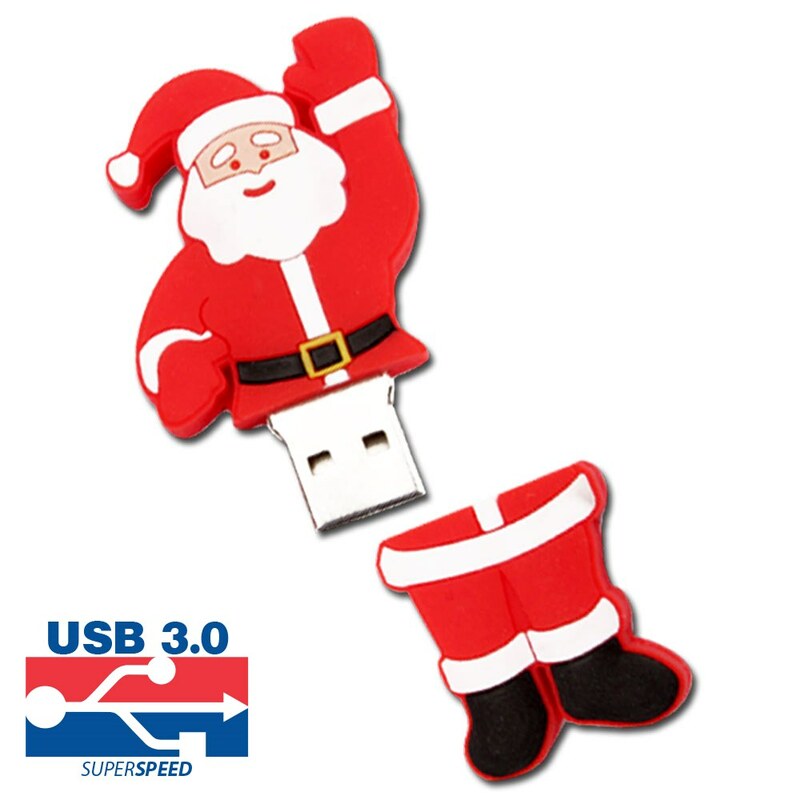 Each Hi-Speed USB drive comes in a soft, moldable PVC rubber shaped to celebrate the holiday of your choice! From Santas to pumpkins, from four-leaf clovers to bunnies and beyond, we’ve got a shape for every holiday! These branded USBs have storage capacities ranging from 128MB to 32GB and come with a limited lifetime warranty. 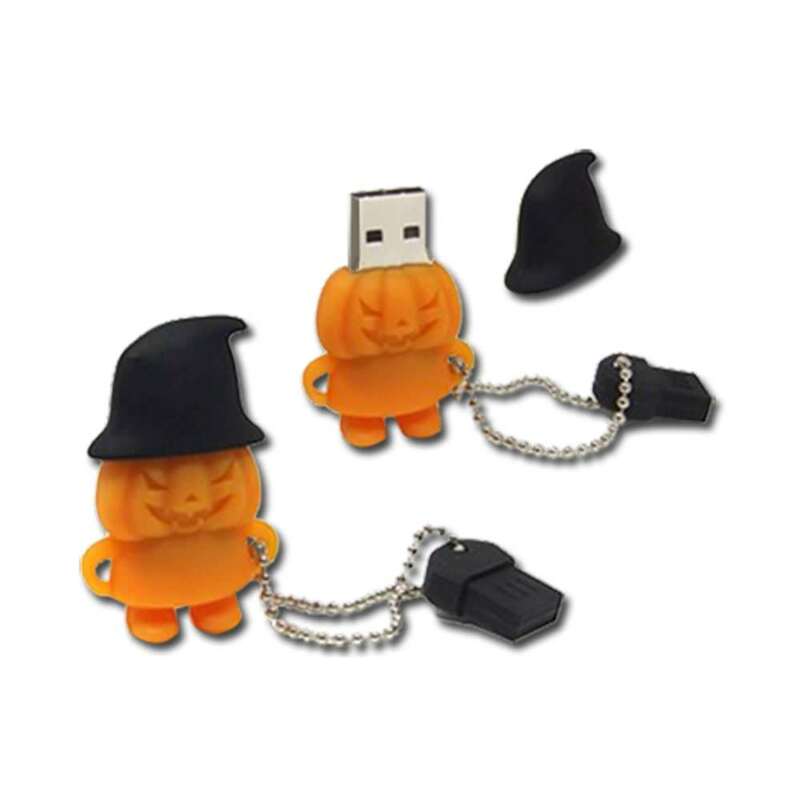 These fun custom USB drives make for great seasonal employee gifts, tradeshow distribution, and as one-of-a-kind promotional giveaways. Available with FREE shipping. Get into the holiday spirit with our very special custom Holiday USB flash drives! 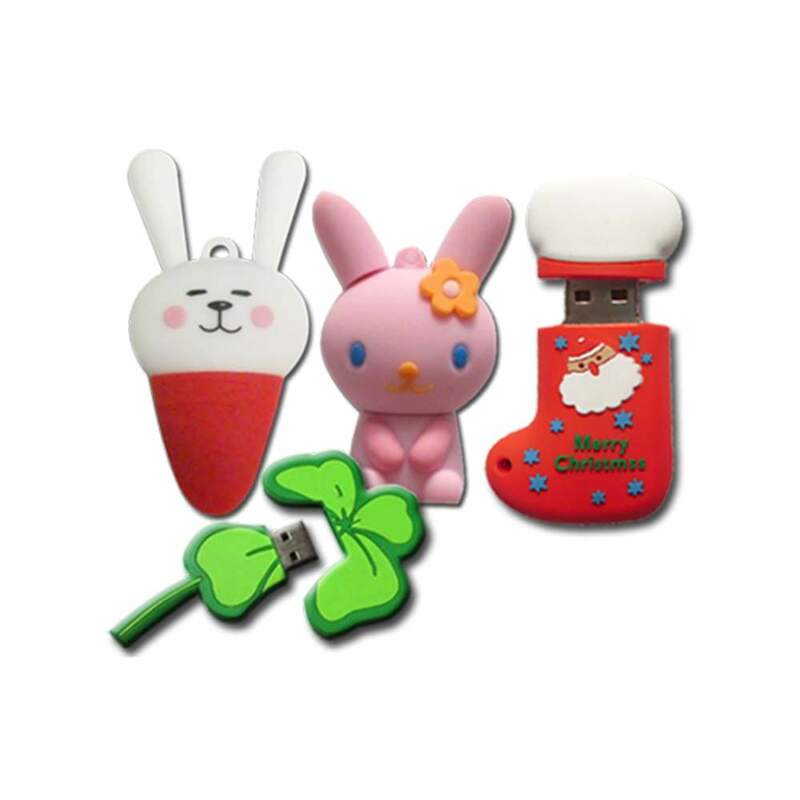 We use soft, moldable PVC rubber to create a series of USBs that are perfect for celebrating your favorite holiday! From Jack-O-Lanterns and Santa and stockings to four-leaf clovers and bunnies, we have custom shapes for every major holiday. And if we don’t have the right shape for your favorite holiday, you can tell us what you want and our PVC elves will make your dreams come true! The Hi-Speed USBs in our custom Holiday drives have storage capacities ranging from 128MB to 32GB, perfect for storing documents, pictures, music, presentations, multimedia, and videos any time of the year! The drives come with a shock resistance of 1,000G, up to 10 years of data retention, and a limited lifetime warranty. These unique and fun custom drives are perfect for seasonal employee gifts, tradeshow distribution, and as one-of-a-kind promotional giveaways. 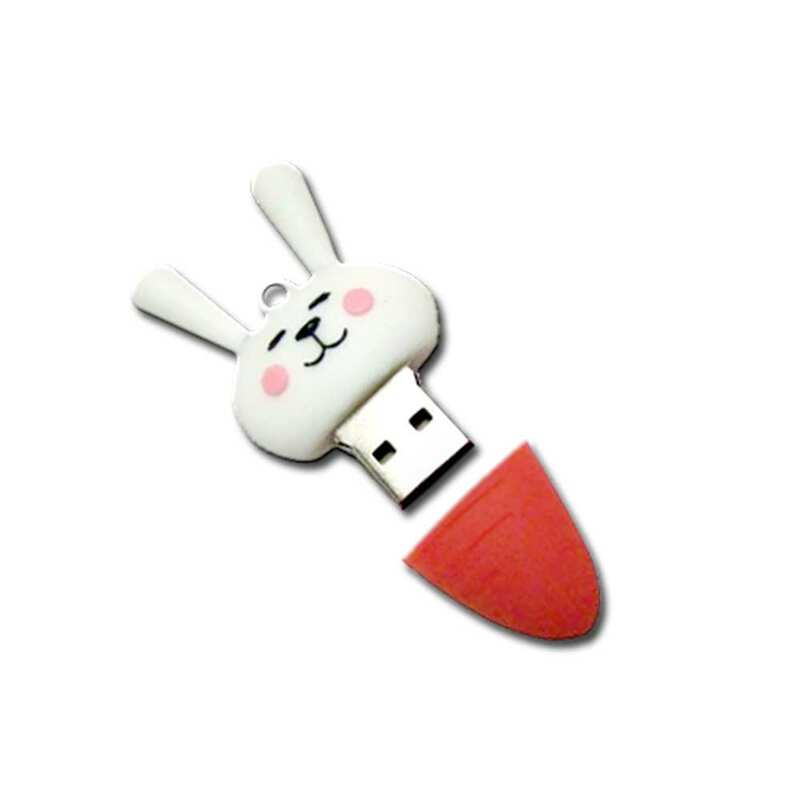 The Holiday custom USB drive is available with FREE shipping. Turn times for custom molding the PVC can vary: On average it will take about 5 days for custom molding, 10 business days for production. Order now and you’ll get your custom USBs in time for the holidays!